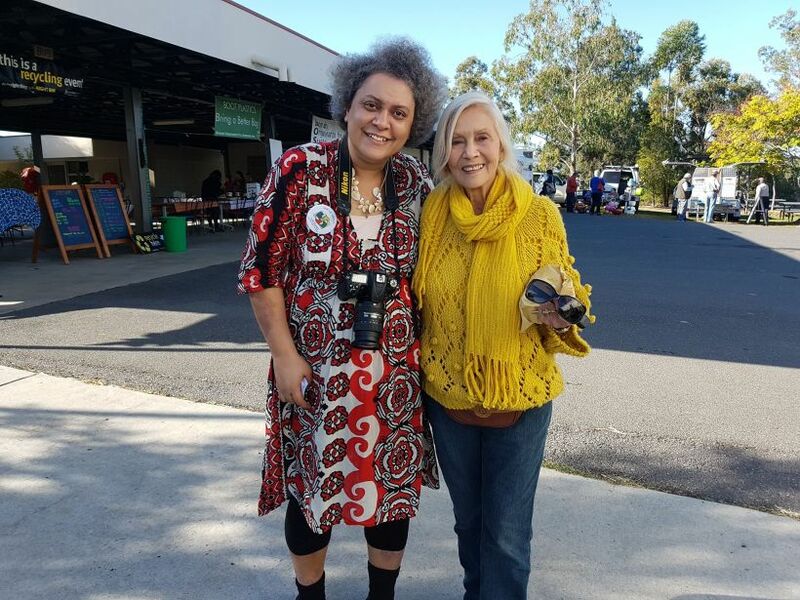 My family arrived in Boonah last Friday night, and stayed at the tranquil home of my friend Elizabeth who is a local resident and greatly involved in her local community’s efforts for sustainability. 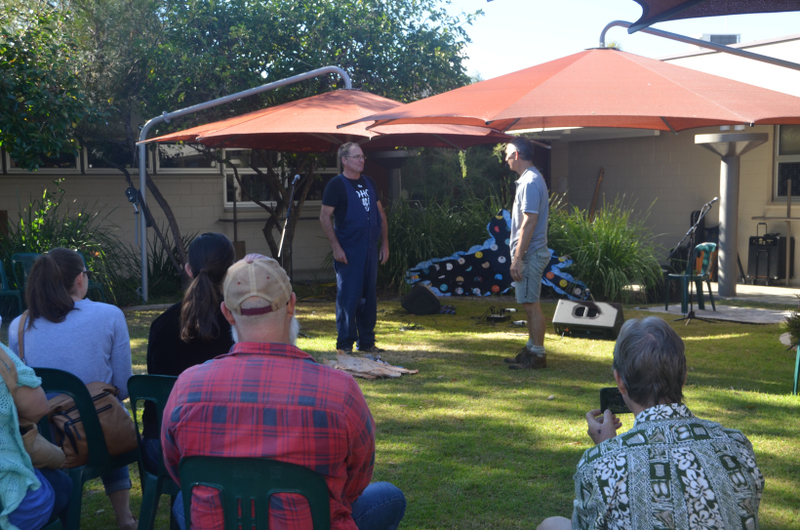 After enjoying a beautiful misty sunrise and breakfast, we headed up the next day to the World Environment Day festival which was being hosted by BOSS (Boonah Organisation for a Sustainable Shire). 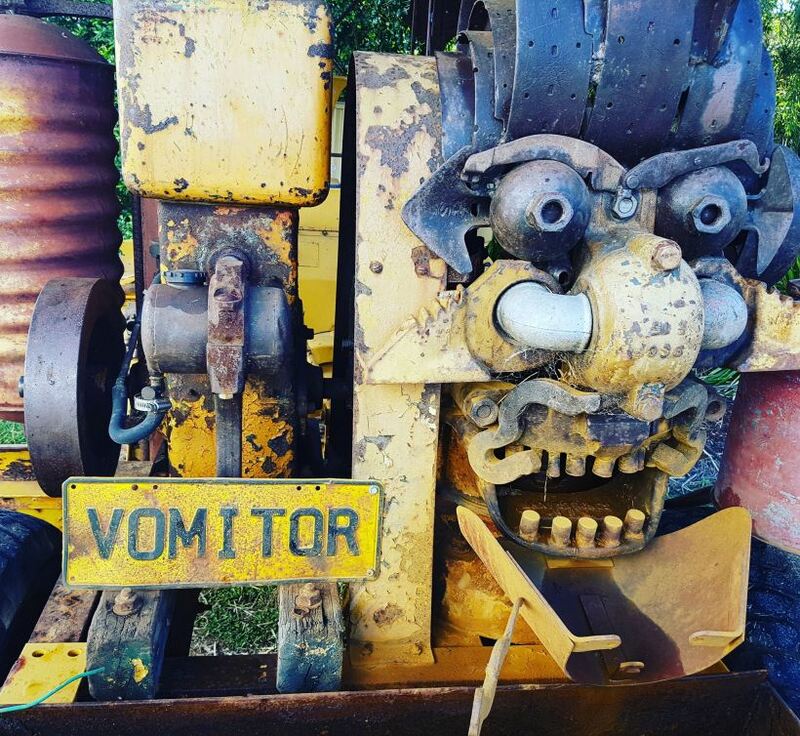 The most striking thing to attract our attention when we first arrived was the Vomitor, made from recycled materials and warning us what will happen if we don’t stop littering! At tenish the traditional welcome happened. This was full of ceremony and quite moving. 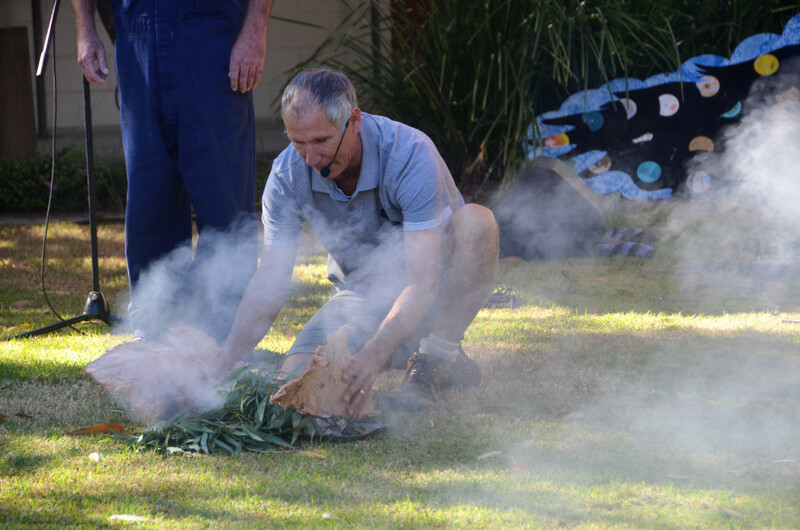 It included a reenactment of what should have happened when new people arrived on these shores, and a smoking ceremony.